My family loves Japanese food. Miso soup is a traditional Japanese soup based on a stock called dashi. 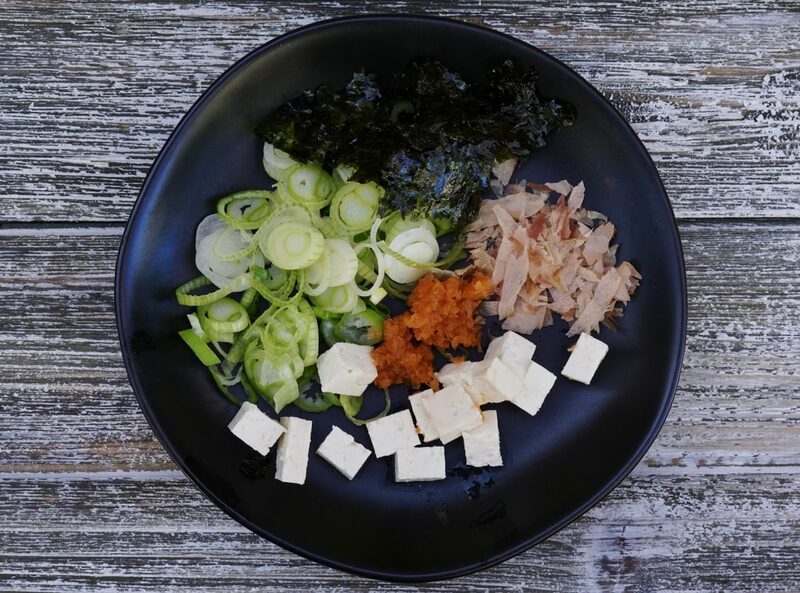 It is believed miso was first introduced to Japan in the 7th century by Buddhist monks. 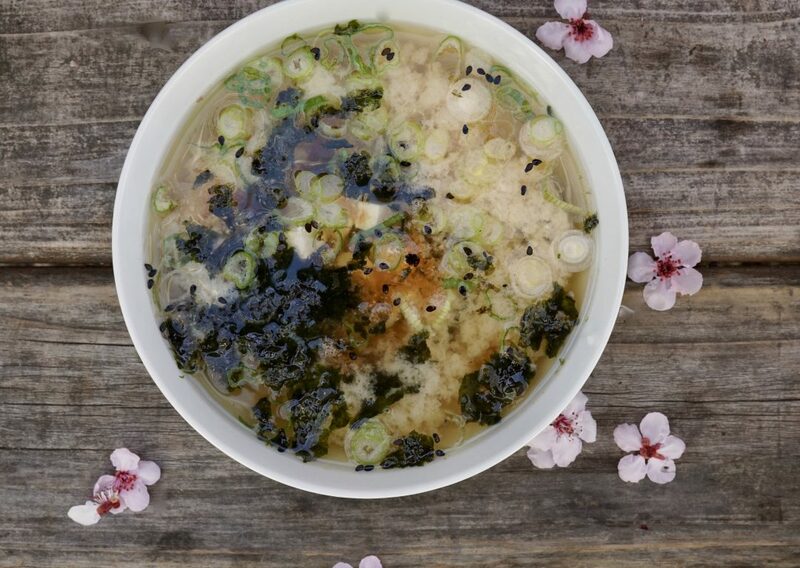 According to Japanese mythology, miso is a gift to mankind from the gods to assure health, longevity and happiness. 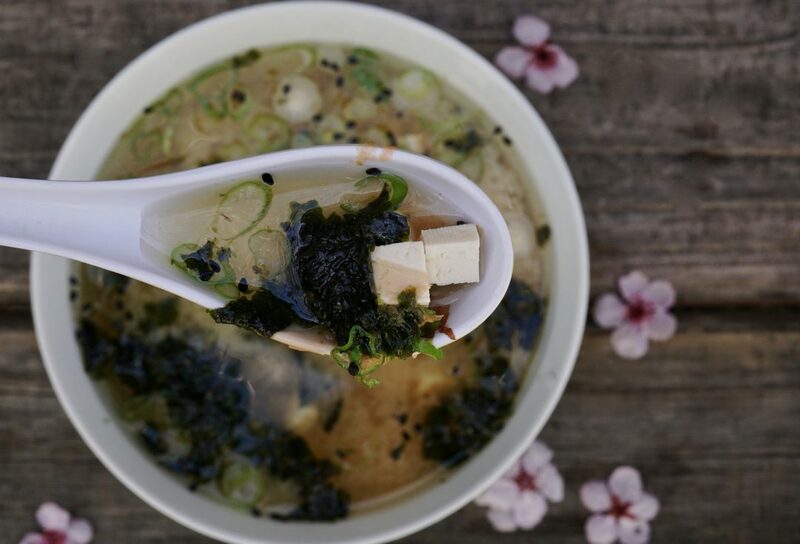 In Japan, it is believed 75% of all Japanese consume miso soup at least once a day. Clearly, I should live in Japan. Since I was a kid, I have always loved this soup. Matzo ball and miso were my go-to soups as a kid, even preferring these to the traditional chicken soup when I was sick. Miso soup is made by mixing miso paste into the broth. 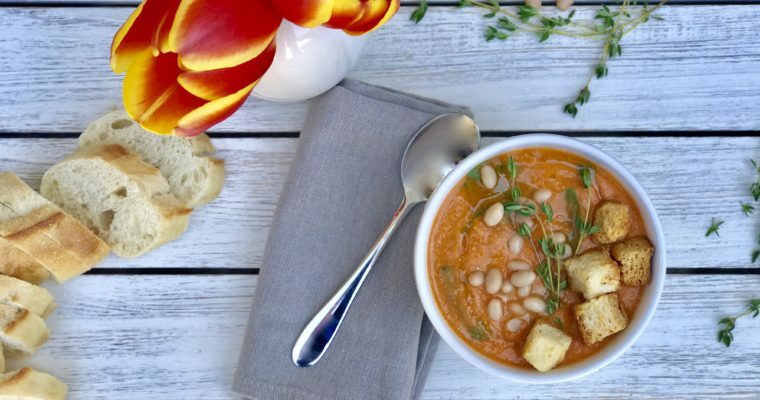 There are lots of regional variations to this simple soup, often involving both seasonal and personal preferences. Miso paste is a traditional Japanese seasoning that is produced by fermenting soybeans with salt and a fungus called Aspergillus. At times rice, barley or other ingredients are also added. The type of miso paste can affect the flavor of the soup. There are three main types of miso: red (Aka Miso), white (Shiro Miso) and yellow (Shinshu Miso), but there is great variation within each of these. Red miso, which gets fermented longer, gives miso soup a bolder flavor. In contrast, the white miso, which is fermented for less times, gives miso soup a sweeter, lighter flavor. Traditional dashi stock is made with dried bonito flakes (atsoubushi), kelp (kombu), dried Shiitake mushrooms and dried baby anchovies (iris). For my “quick” miso soup recipe, I take a few shortcuts to make this flavorful soup even easier. 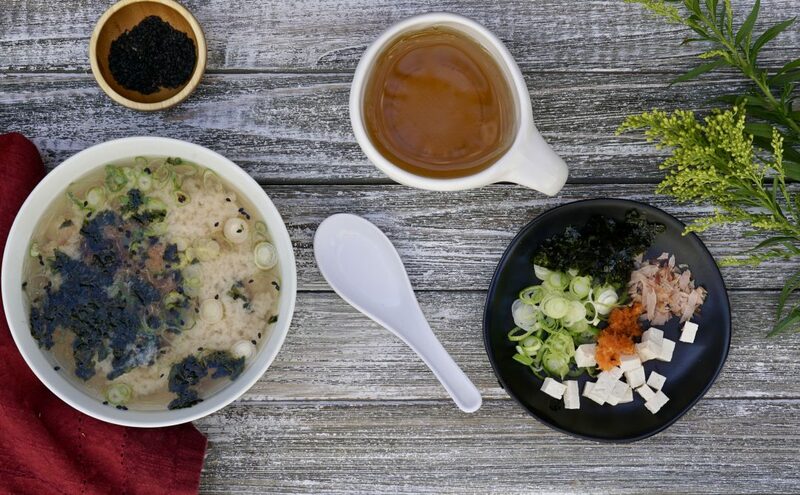 I use bonito flakes, scallions, toasted nori sheets mixed with a yellow miso to create a simple yet flavorful dashi-style broth base with easy to locate ingredients. For those who are counting, a cup of miso soup contains only about 60 calories, making it a great low-calorie (and low-fat) soup option. If you have been enjoying miso soup your whole life but never tried to cook it yourself, you should give it a try. 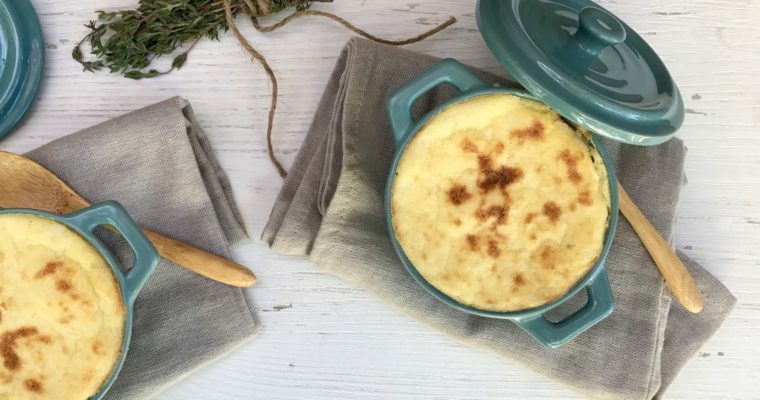 It isn’t difficult and you can play around with ingredients to adapt it to your tastes. My mom is traveling in Japan this week so this seemed like the perfect soup to blog about. I hope she is enjoying some fantastic miso soup there in additional to all the many other culinary treats Japan is known for. Step 1 In a medium stock pot add the water and miso paste and place over high heat. Whisk to blend and bring to a boil. Once boiling, reduce to a simmer and cook for about 5 minutes. Step 2 Add the tofu and scallions. Step 3 Ladle into serving bowls. Garnish with grated carrots, bonito flakes, sesame seeds, and some crumbled nori sheets.